The head of Egypt's Education Sector Reda Hegazi said on Wednesday that the percentage of Thanaweya Amma students with passing grades for the 2017-2018 academic year reached 74 percent, MENA news agency reported. Last year witnessed a 72.4 percent passing rate for nearly 600,000 Thanaweya Amma students who took the highly competitive exams in a number of subjects at the end of their final year of high school. Hegazi said that the results will be officially announced in a press conference by Education Minister Tarek Shawky on Thursday. Thanaweya Amma grades determine what universities and faculties students may attend. Hegazi highlighted that 50 were ranked among the top students, yet no student received the full mark. A special needs student is among the top Thanaweya Amma students, according to the education ministry official. The official highlighted that 26 percent of the registered students are expected to re-take the exams. Unlike last year, there were not many online leaks of exams due to the efforts made by the education ministry to prevent cheating. The ministry has introduced the booklet exam system, which reduced the risk of exam leaks and helped identify students who allegedly tried to leak the exams online. A new progamme is expected to be implemented in Egypt's educational system for different age groups – including the decades-old highly stressful Thanaweya Amma years – starting the 2018 academic year. 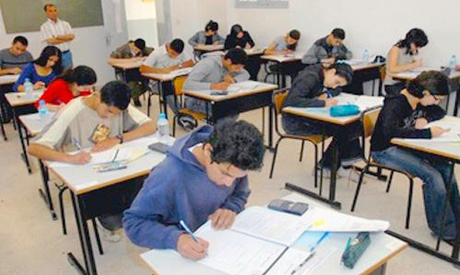 The World Bank is providing a $500 million investment in Egypt’s five-year education reforms. The reform will witness a change of the curriculums and examination systems. Students will also be handed electronic tablets as well as the text books as part of the new programme. The education reform programme is part of Egypt’s “2030 Vision” sustainable development strategy, which stresses that education reform is critical to achieving social transformation in the country. Egypt currently has 75,000 schools, 49,000 of which are public schools, 7,000 are private schools, 750 are experimental schools and 250 are international schools.